On the 31st of December 2017 when I came in town after our highly trained intelligence guys had learnt that the coup President and a Chief Gukurahundist will be in the city of Bulawayo ZIFT at a church gathering that was organised by the founder of Family of God, Wutaunashe. I had attended a church all night service the previous night. We quickly organised ourselves to go and send a message to the coup President. It took us just an hour to put together a plan, strategise and organise ourselves and go to the ground. On the same day we were supposed to hold our National Executive Council (NEC) meeting but I had to abandon it and attend this urgent call. We were very aware of what might possibly happen to us, to explain it "it was a do or die situation". I had left my phone with some of the NEC members and told them to call my wife in case of any eventuality because I clearly knew what was waiting ahead of me. On our way to ZITF we met more security personnel. When we arrived at ZITF we were searched upon entering Hall 4 where the function was being held.Our main objective was to prove to the people that what they were celebrating and calling change was not real change as they thought because we knew that they were only seeking for international community sympathy and attention. There were speakers one after another "Men of God" and politicians praising Mnangagwa they even called him "Joseph" likening him to the Biblical Joseph. When the Vice President Kembo Mohadi took the podium to give a speech and said they are now reformed as ZANU PF and we are now in the "new dispensation", praising Mnangagwa and I remember one of our comrades, CDE Malwande Nyathi saying within few minutes from now tables will turn. The Vice President Kembo Mohadi then invited the Coup President on the podium. As he stood on the podium we lifted our banners quietly with different inscription on then on them, sending a strong message to him and world large of what we believe and stand for. The whole auditorium kept quiet with eye fixed on us .It went quiet for between 5 to 10 minutes, even Mnangagwa went quiet during this period. The guys in suits came to see what was written on our banners. In a few minutes were taken outside and our banners were taken and destroyed, when we got outside we started singing and we were commanded to be silent by armed soldier outside and they were pulling triggers as if they want shoot us " nyararai nyararai" that's what they said. People started beating us, ZANU PF youths, the soldiers, police and the CIOs were all beating us. At first they thought we were sent by G40 to be precise Jonathan Moyo. Later same ZANU PF youths identified us especially the late Magura Charumbira because some of our comrades had one once disciplined him after terrorising residents. The Charumbira boy died some few days after this incident for the touching the anointed ones. They pulled my private parts, lifted me up and throw me against the wall. I fainted for some minutes and only became conscious when they started pouring water on us. As they were now debating what can be done to us, some where saying let them go, but the soldiers insisted that we should be taken for further discipline. Some said we should be taken to KG6, some said hillside police station and then they agreed that we should be taken to Bred Barracks by the Military Intelligence Organization. They took my 2 USB flashers during the beating became they were search us saying we are dangerous how did we got in with the banners because we were search and they thought that we have guns. I was then given back my flashes at Bred Barracks, I think they had already downloaded the information in there for their Intelligence purposes.What was not known to them is that we were not alone in the Hall, we had many cdes who did not rise up. We had our own security personnel who at that time took the information to our NEC members who were in a meeting, they all started praying and interceding on our behalf without telling each other to pray, thanks to them because we had already told ourselves do or die. 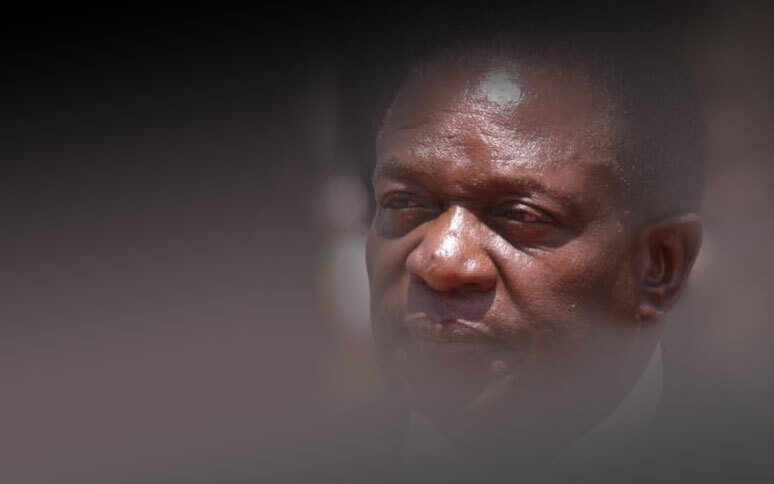 We highlighted to Mnangagwa that Gukurahundi is not an issue that can be swept under the carpet, unfair employment practices in Matabeleland, oppression of different languages and tribes in Matabeleland and marginalization and lack of development among other things. When arrived at Bred Barracks were being interrogated because they believed that were sent . As to their dirty politics of using youths, they did not believe that it was our own initiative. Within a short space of time our information department had already published it in the social media. The international community started calling from all over and an instruction was given from Harare that the army should release us to the police. We were tortured from around 4pm at ZITF and taken to Bred Barracks at around 6pm, around 9pm were taken to Bulawayo Central Police Station for detention.I was the most injured. That same night we were told that there was no vehicle to take us to the Hospital. The following morning on the 1st of January 2018 on New year's day our teams of lawyers came from Abameli Lawyers for Human Right. They tried to get us to the Hospital but in vain at first they said they don't have the vehicle and when our party offered the vehicle, they said the officer who was supposed to authorise us to go to the Hospital was away. We were only taken to hospital in the evening of the 1st of January 2018. The following day on the 2nd of January 2018 were taken to court in the afternoon, and our comrades were already at Tredgold Court since morning at 8am singing our revolutionary songs in solidarity with us. We were take to a certain office to avoid commotion. At around 5pm the lawyers told us that were have been discharge without being heard.We only got proper medical attention after the court at Galen House where got medication and phycological therapy. The comrades who were bitten and arrested we were seven males and one female. It was my self, Malwande Nyathi, Marshall Sibanda, Nkosilathi Ncube, Khethani "Nxebalendoda" Ndlovu, Thembisani "Mfula ongatshi" Mpofu, Petros Mkhize and Sehluselo Ndebele. We are aware that there are some "Men of Cloth" who are deployed to silent the people of Mthwakazi (Matabeleland, Midlands and part of Masvingo West) they tell us to forgive, yet they have never preached to the perpetrators the gospel of confession and repentance. Even with God himself forgiveness comes after confession and repentance. When Mnangagwa and his coup team took over power by force he said the voice of the people is the will of God. But when we speak as Mthwakazi people he ignores us, arrest and torture are the order of day. The six who were shot in Harare on the 1st of August 2018 were demonstrating in one voice, wasn't it the voice of God. These preachers who pushing a political agenda through the church should stop being hypocrites that is why politicians take Church serious because they know that they can use you or manipulate you to further their political agenda let the church be the Church and stand for the Truth and Preach the Gospel of our Lord and Savior Jesus Christ. Yesterday on Sunday 30th December 2018. These political "Men of Cloth" organized that some "church political gathering" thinking that we will dance their tune, not knowing that we play and dance our own music. To all Mthwakazi people remain focused and united there is light at the end of the tunnel. Do not be moved this struggle is a revolution and there is no one who can stop a revolution just like a revival. MRP is not for politicians but for freedom fighter that is why were are total different from all the other political parties let us be ourselves. We are not motivated by money but the freedom of our people. Money or no money freedom is certain. Kancane kancane siyawuthatha uMthwakazi.Rea boka, rolivhuwa, ikhensile, siyabonga, toboka, enkosi, twalumba, zikhomo.Ri rote rofarana ri Mthwakazi rido zwilugisa. Brighton Ithuteng MaladzhiMRP Treasurer General writing in his personal capacity.